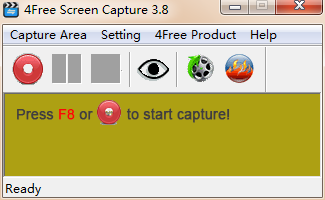 4Free Screen Capture is a powerful yet simple screen recorder program which allows you to capture desktop activities and create video tutorials, demonstrations and presentations without any programming skills. After recording every mouse movement, click and keystrokes, you can easily enhance the videos with notes, callouts and effects such as pan-zoom and animations, and then publish as video, flash-based demos, or LMS compatible packages. It's a must for technical support & marketing staff, educator and e-learning creator. Record any area of desktop: Custom size, Application & Full screen. Record with sound: Record what you say (microphone) or what you hear from your computer, and edit with built-in editor. Recording Control Panel: Real time control of your recording process with control panel or hotkeys: Countdown, Pause, Redo and Stop. Create Flash-based presentations or video demos and offers a wide range of publish options. 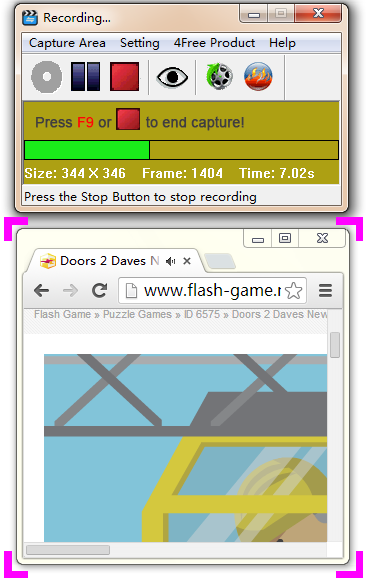 Publish as Flash-based demos for web sharing. Save as a video (up to 7 formats: AVI, MOV, MP4, WMV, MPEG-2, FLV, 3GP) to video host like YouTube. User defined hotkeys to enhance screen record efficiency and experience. 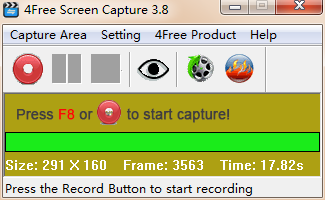 Capture area will follow the cursor to wherever it moves during recording. Based on user's click action, the demo will behave differently to add interactivity to the video. Let you focus on specific screen details like typing and cursor movements & make your point clearly. 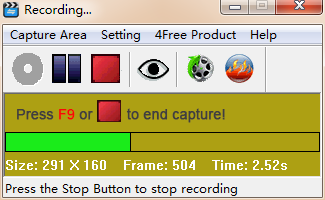 Idle Interface : Convert video at ultrafast speed and in high output quality. Try before you buy with a free trial – and even after your purchase, you're still covered by our 90-day, no-risk guarantee. Your complete video toolbox. Convert, edit, capture, and watch – in virtually any format. It support to convert any Format to any Format or device for 500+. Copyright© 2000~ 4Free Video Converter Inc. a Multimedia Utility Company. All Rights Reserved.